We have the most satisfied travelers and they have shared their comments on the web. 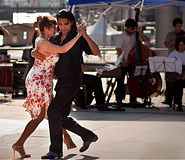 Browse our selection of exciting South America vacation packages. 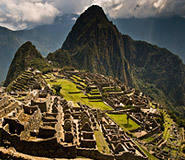 We offer great value tours to Peru, Argentina, Brazil, Chile, Ecuador & Galapagos, Bolivia, and Uruguay. Vibrant capitals, magnificent nature, and fascinating cultures make Latin America a unique travel destination. 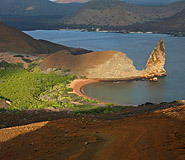 All our tours are fully customizable and depart 365 days a year. We are a leading Latin America travel agency providing services to thousands of satisfied customers every year. Why do people choose to travel with us? Peru is truly one of the most fascinating destinations to visit in South America. Filled with treasures from its ancient pre-Colombian cultures such as Machu Picchu, but also natural gems like the Amazon Jungle, Peru offers endless surprises and delights for the senses. The country is an eclectic mixture of the old and new, the indigenous and criollo, the intense and subdued; it is a country that continues to inspire new visitors as well as veteran travelers. With the wide-open pampas and ancient forests of Patagonia, the breathtaking Iguazu Falls and the wonderful green expanses of its wine region in Mendoza, Argentina is as wild as its capital city, Buenos Aires. Even the smallest taste of this magnificent country will leave you anxiously waiting for more. Land-locked Bolivia is the continent’s highest, most isolated and most indigenous country. With a natural beauty that transverses mirror-like salt plains, jagged Andean peak, steamy jungles and wildlife-rich pampas, Bolivia is a land full of adventure, waiting to be discovered. Make sure to take a tour of La Paz, highest de facto capital in the world. 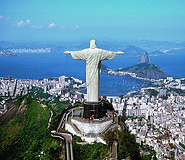 With the vast Amazon Rainforest, mile upon mile of white sandy beaches, pulsating metropolises dancing to samba beats, an ethnically diverse population, and of course a world-famous Carnival, Brazil is a country full of vibrant contrasts that embody everything that is great about South America. From Rio de Janeiro and Sao Paulo to the magical beaches of Buzios and Florianopolis, visitors will be enchanted by the diversity and warmth that is found in this vibrant country. In the world’s longest country, from north to south, nature appears in some of its most dramatic forms found anywhere on the planet. Chile is a country of extremes dominated by enormous glaciers, vast expanses of desert, huge volcanic cones and long continuous stretches of Pacific coastline. 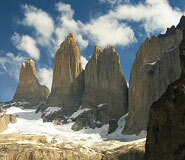 Visit its bustling and modern capital, Santiago, and get lost in the immensity of Patagonia, south of Chile. Home to the South America’s most intensely varied landscape, Ecuador has it all: spectacular Andean peaks, the lush Amazon Rainforest, beautiful sun-drenched Pacific beaches and of course, the paradise of the Galapagos Islands. Copyright © 2001 - 2018 All rights reserved. Peru for Less, LLC.